A replacement for Guernsey's broken hyperbaric chamber is to be paid for by the States. The chamber, used to treat divers with decompression sickness, had been operated by St John Ambulance until April. It is expected to be operational by June, according to the Health and Social Services Department. Ed Freestone, assistant director, said it was a solution to deliver the support divers need to do their work. 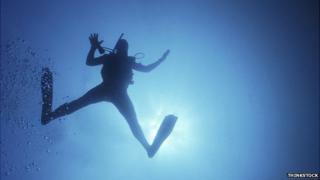 He said the vital work of commercial divers in the harbours and reservoirs needed to be supported by "appropriate medical support". The department has gone out to tender and Mr Freestone said he expected the chamber to cost between £150,000-£200,000 to set up and about £40,000 a year to run. He said the unit would be based at the Princess Elizabeth Hospital and would involve staff being trained from within the department. In the three years before it broken down the unit run by St John was used eight times. Steve Bougourd, from Donkey Divers, said the lack of a chamber "hasn't damaged business". He said: "We dive very conservatively... all divers are insured even in training... we don't want any accidents to happen but they can. "Suddenly not having one makes us feel vulnerable, but for the cost of it in an island... where lots of diving takes place, loads of water activities take place I think it's important to have one."